If you’ve raised children, you’ve spent a great deal of time when they’re very young reminding them to pick up after themselves, clean up their rooms and not leave things a mess. You did it in the hope of instilling good habits for your kids that they could take with them into adulthood. If only those habits extended to thermal printers. Over the years, I’ve seen some pretty impressive “clean” printers. 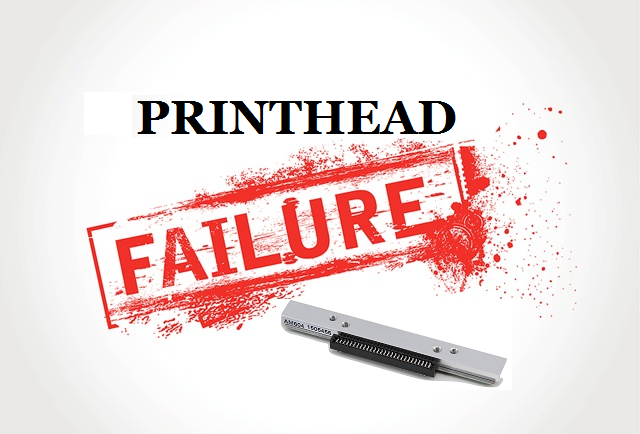 I visited a customer who was experiencing printhead failures. We discussed the material and ribbon and found they were standard products. I was also told that the printers were well maintained and cleaned on a regular basis. Upon inspection, I was actually able to write my name in the dust buildup in the printer, especially in the printhead area. Needless to say, the numerous printhead failures diminished significantly after my visit. Through the years thermal transfer printers have evolved with changes to print speed, resolution and the variety of material a printer can handle. What has not changed is the need to clean the printer, especially the printhead. 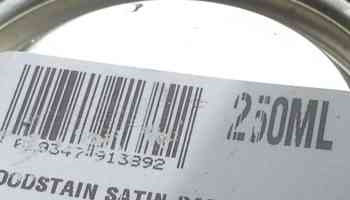 The printhead attracts paper dust and ribbon residue during normal operation. 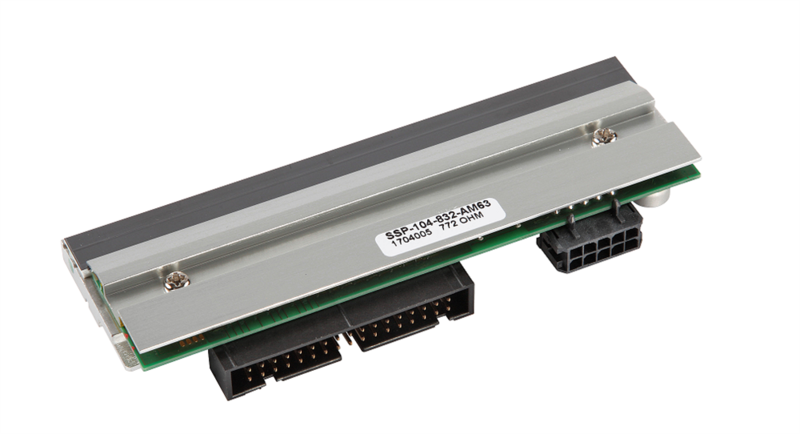 This buildup reduces the printhead’s ability to produce high quality images. Additionally, it may cause the printhead to fail early and that’s going to cost you money. Cleaning the printhead is essential and should be done on a regular basis. The industry standard suggests once a day. However, Gulton suggests cleaning a printhead after every material (ribbon or label) change. This allows the ribbon residue and paper dust to be removed before it has time to buildup on the printhead. This buildup over time is one of the major reasons for printhead failure. Printheads are normally changed when white lines or voids appear in the print image. In most cases this is directly related to the buildup of dust and residue on the printhead. The dust and residue are a natural occurrence that increases the pressure needed by the printhead to allow the material to feed. So dirt is directly related to printhead damage and replacement. Like any piece of equipment, preventive maintenance or regular cleaning will keep a machine operating at its optimal levels. 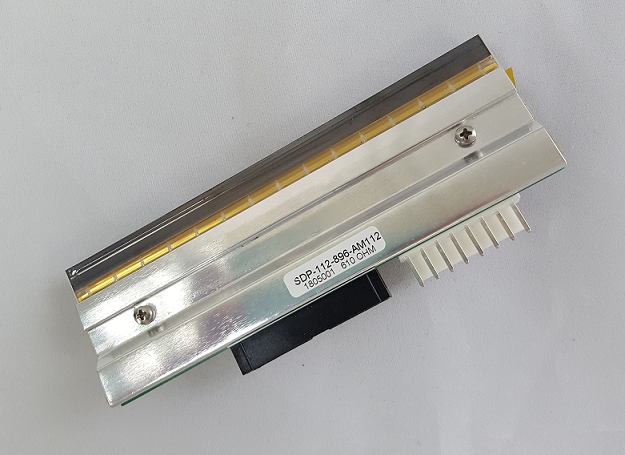 Therefore, remember the cleaning of the printhead not only provides the high-quality image to remain high, it also may be a cost savings to you. Better print quality. Less cost. Gulton Printheads. Who doesn’t like a good habit? January 30, 2018, South Plainfield, New Jersey – Gulton, Incorporated announced today the addition of Christopher M. Russell in the role of Manufacturing Manager to the Gulton team. Mr. Russell comes to Gulton, Inc. with over 25 years of experience in Manufacturing Management, Process Improvement and Change Management with positions held at such prestigious companies as Steris, Nice Pak, Lockheed Martin and Stryker. Chris is a SixSigma Greenbelt and Lean practitioner. Chris will be responsible for leading the printhead manufacturing operations here at Gulton. This will include all aspects associated with Gulton safety, quality and delivery. Chris has held titles from Plant Manager, to Operations Excellence Leader to Global Operations Lean Specialist and Trainer. No matter what the title, Chris’ experience hones in on the manufacturing process, instituting changes that lead to more efficient, productive practices, higher quality products and improved, more effective operations. We’re excited to have Chris join us here in South Plainfield and hope that you’ll extend him a warm welcome as he begins his journey here at Gulton. Chris can be reached at 908-791-4622, ext. 159 or be email at crussell@gulton.com. Eighty years ago, Dr. Leslie Gulton and his wife, Edith Gulton founded Gulton, Inc. Located in Metuchen, New Jersey, Gulton manufactured a variety of electronic components and products that included prismatic Nicd battery cells, temperature controllers, cigarette lighters, flashlights and radios … and, eventually thermal printheads. 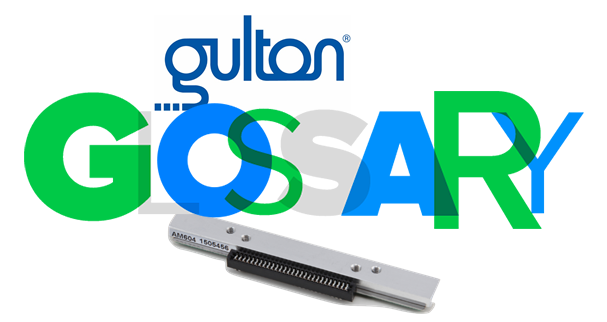 In fact, Gulton developed the first thermal printhead back in 1972 for use by the federal government. That was a very fitting start for the only U.S.-based manufacturer of thermal printheads. The company grew exponentially and in 1986, Mark IV took control of Gulton in a hostile takeover. The company sold six Gulton divisions to the Danaher Corporation in 1993. Om Srivastava went to work for Gulton in the Schiller Park area of Illinois back in 1964.He spent 14 years in Chicago leading the engineering function for Temperature Controllers. 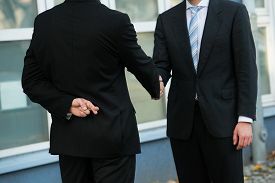 He was transferred to Warwick, Rhode Island where he spent another 3 and a half years and finally, was promoted to Vice President and General Manager and was moved to New Jersey where he was put in charge of printhead manufacturing. Back then, the Danaher printhead division was primarily manufacturing printheads for the OEM market. This was not proving to be a lucrative strategy and Danaher was looking for bids to sell the division. Om presented a proposal to Danaher to change courses and manufacture aftermarket product for the thermal printing marketplace. The company didn’t share that vision. Om purchased the division from his employers in 2002 and he’s been at the helm ever since. Upon taking the lead at Gulton, Om steer the company in a different direction, fulfilling his vision of Gulton as the leading manufacturer of aftermarket thermal printheads. That vision still remains as he consistently seeks to expand Gulton’s reach to more end users and distributors and extend the company’s growth to new markets and industries. 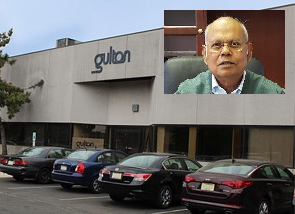 Om’s strategy proved to be successful for the company, as under his leadership, Gulton has grown into the healthy, thriving leader in thermal printhead manufacturing. Measuring quality: What exactly is pharmaceutical grade water and why is Gulton using it? why is Gulton using it? Here at Gulton we talk an awful lot about quality. While we know our customers understand the quality of our products, we’re not sure we talk quite as much or as often about the great care we take with our manufacturing process that ensures the high standards of quality Gulton customers expect. Gulton’s pharmaceutical grade water filtration system is a great example of that. 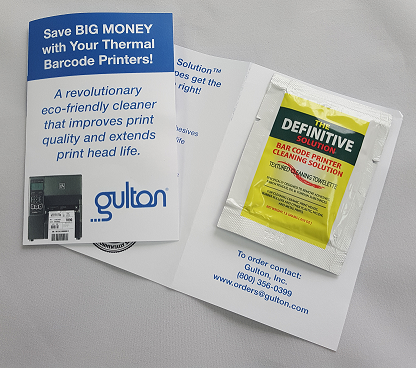 You might be saying to yourself, “Gulton is a printhead manufacturer. They have nothing to do with pharmaceuticals.” And you’d be right about that. But our manufacturing process only benefits by the application of the highest available standards for ultrapure water filtration. Water is a key part of our manufacturing process, as substrates and circuitry need to be rinsed washed and prepared prior to assembly. Any particulates coming into contact with these important product parts can severely affect product quality. Ultrapure water is water that has been purified to uncommonly stringent specifications. 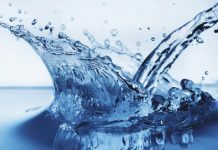 It is treated to the highest levels of purity for all contaminant types, including: organic and inorganic compounds; dissolved and particulate matter; volatile and non-volatile, reactive and inert; hydrophilic and hydrophobic; and dissolved gases. In addition to the fact that UPW has organic particles and dissolved gases removed, a typical UPW system has three stages: a pretreatment stage to produce purified water, a primary stage to further purify the water and a polishing stage, the final part of the treatment process. The resulting water that’s used in the Gulton manufacturing process is just one of the uncommon steps we take to ensure the highest quality product walks out our doors. Fewer particulates mean higher quality. Higher quality means happier customers. At Gulton, we don’t just talk about quality, we make sure everything we do at every stage of our process guarantees it.